There is an inherent stigma that attaches to the medical condition known as fetal alcohol spectrum disorder (FASD) that must be solidly laid to rest if we are to build the political will that can force governments and their health agencies to put in place the supports needed to deal with one of the most insidious and pervasive, if largely invisible, health issues facing society. 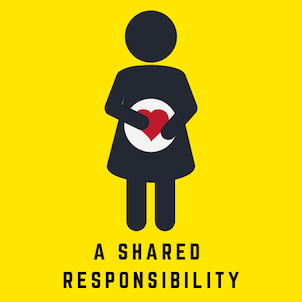 We as a society must step past the “sins of the mothers” attitude that lies at the heart of society’s ongoing indifference, or willful ignorance, of the very real suffering inherent in FASD. Setting aside (although we should not) the societal forces that lie behind why a mother might consume alcohol while pregnant or breastfeeding, including histories of lateral violence, abuse both mental and physical, mental health or the simple possibility of a young woman not realizing that a now baby lies within her womb, it cannot be in any way supported that these are the fault of the unborn. As a society, including many if not most health officials down through the generations, we have gone so far as to encourage moderate consumption of alcohol in order to “build up a mother’s milk” or to offset the many ailments that can beset a gestating mother. Today we are aware, or most certainly should be, that no amount of alcohol can be safely consumed while pregnant. Too many anecdotal assurances of “it never hurt anyone in my day” given to young expectant mothers who are looking to their elders for support and advice still resound across the land—assurances given with the total assurance and vehemence that seems to be the special preserve of the blissfully ignorant. As an invisible, and incurable, medical condition FASD is far too easy for us to ignore, but like autism, another invisible medical condition that besets out society it should not and cannot be ignored if we are to build a just and civil society. Cries that dealing with these issues are “too expensive” and “beyond our means to solve” cloak a callous and mean-spirited approach to public weal that has been far too common in our society of late. Click here for full editorial.